Angiotensin-Converting Enzyme (ACE) Inhibitors found in some prescription medications can be associated with Chronic Cough. It is important to never stop a medication without first discussing the consequences with the ordering physician. But a Cough Doctor can precisely diagnose the cause(s) of your Chronic Cough and the role of ACE Inhibitor medication in your situation. A persistent, dry, tickling cough is a relatively common result of ACE inhibitors, such as lisinopril, which are used to treat hypertension, heart and kidney diseases. Cough may occur within hours of the first dose of medication, or its onset can be delayed for weeks to months after the initiation of therapy. Treatment with ACE inhibitors may sensitize the cough reflex, thereby potentiating other causes of chronic cough. The mechanism of ACE inhibitor induced cough is not fully understood but probably is associated with increases in bradykinins that activate the cough reflex. 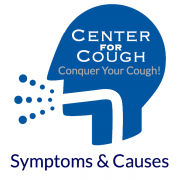 Although cough usually resolves within 1 to 4 weeks of the cessation of therapy with the offending drug, in a subgroup of individuals cough may linger for up to three months. A different drug class, angiotensin receptor blockers (ARBs), do not cause cough, even in those patients with a history of ACE inhibitor-induced cough.